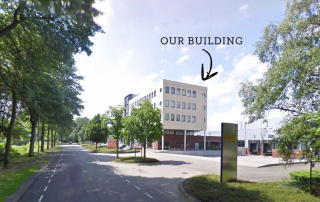 We have opened our innovation center and business incubator for starting high-tech companies. This initiative is focused on young high-tech starters. We help young talent to sharpen their business ideas, set-up their company and can offer help to realize these ideas. Next to that we offer services like legal, hr, patent, financial, prototyping and product industrialization. We welcome young people with ideas and aspiring to become an entrepreneur to come by to see how we can help each other. Next to that we also offer housing to work out ideas in the innovation center and for already started companies in our business incubator. Echtpaar start innovatiecampus op industrieterrein De Schaapsloop. Er is daar plek voor twintig bedrijven.